Put these 7 types of foods on your menu for delicious diabetes prevention. My new book is out! 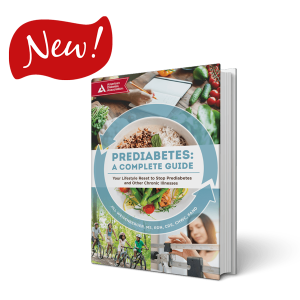 Prediabetes: A Complete Guide is here – finally released today! It’s packed with hundreds of tips for better eating, healthier living and all you need to know to manage or even reverse prediabetes and prevent type 2 diabetes. 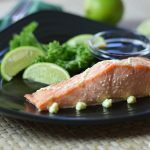 It’s Your Lifestyle Reset to Stop Prediabetes and Other Chronic Illnesses, and it covers sleep, cooking techniques, grocery shopping strategies, meal planning, aerobic exercise, strength training, goal setting, motivation, creating a helpful mindset, and oh my gosh so much more. I guess it’s pretty clear just how excited I am. 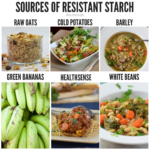 To empower you to embrace your lifestyle reset and to help you stay motivated, today’s post is all about the foods that are good for dialing back insulin resistance – a hallmark of both prediabetes and type 2 diabetes. The 7 foods listed in the infographic above are all linked with less incidence of type 2 diabetes or better insulin sensitivity or both. Yogurt. It’s not clear how yogurt might help prevent type 2 diabetes, but research finds that an increase of one serving of yogurt a day is associated with an 18% lower risk of developing the disease. 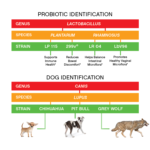 The protection might come from the probiotics or yogurt’s unique nutritional profile. Or it could be as simple as eating nutrient-dense yogurt instead of nutrient-poor snacks or breakfast foods like toaster pastries. Try this 2 ingredient frozen yogurt, a dessert with benefits. Fruit. Yes, people with blood sugar problems can (and should) eat fruit. Diets with adequate fruit are associated with less chronic disease, not more. Citrus fruits, as an example, have the type of fiber that lowers blood sugar. And berries, in particular, are linked to a lower risk of developing type 2 diabetes. Whole grains. There’s a whole world of whole grains out there! Try a new one this week. And find more ways to eat both oats and barley. These two grains give us the viscous fiber beta-glucan, which improves insulin sensitivity. And it lowers cholesterol levels too! Check out this roundup of more than 20 oats and barley recipes. Legumes. Plant-based diets are all the rage, and for good reason. They’re associated with lower body weights and less chronic diseases, including diabetes, heart disease and many types of cancer. But I truly believe that you can reap the rewards of a plant-based diet without going full on vegan or even vegetarian. I embrace a plant slant diet that includes loads of plant proteins as well as fruits, vegetables, whole grains and nuts. Legumes like lentils, split peas, kidney beans and black beans are treasure troves of nutrition, including protein, folate, fiber, resistant starches, vitamins, minerals and disease-fighting phytonutrients. Studies show that diets rich in legumes have beneficial effects on both short term and long term fasting blood sugar levels. So try to eat them several times per week. You don’t have to give up your favorite animal foods. Just shrink the meat and add more legumes. Give my summery Bean and Barley Salad a try. 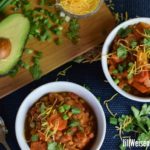 And when the weather cools off again, cook up a big batch of this delicious Lentil and Sweet Potato Chili. Healthy Fats. Nuts, in particular, are associated with less risk of type 2 diabetes. And better health outcomes among people who already have type 2 diabetes. Nuts have a number of health-boosting phytonutrients, so you should feel good adding them to salads, vegetable dishes and even eating a 1/4-cup serving for a snack. They’re all good so enjoy them all. In addition, other foods with healthy unsaturated fats are linked to better insulin sensitivity when they replace saturated and trans fats. Drop the trans fats, decrease the saturated fats (including coconut oil) and embrace unsaturated fats in foods like peanut, canola and olive oils, as well as fatty fish, olives and avocados. A Mediterranean-style diet tends to be rich in unsaturated fats and is linked to less type 2 diabetes. Herbs and spices. They may be tiny, but they still pack a powerful punch! Some – like cinnamon – are studied for their possible effects on blood sugar levels. But really all of them have something to offer such as anti-inflammatory or anti-microbial properties. Enjoy them fresh, dried or in combination. Here’s a bit more information about herbs and spices. Coffee and tea. 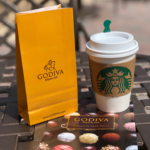 Isn’t it great to know that these favorite beverages are good for you? Both beverages are linked to less risk of type 2 diabetes. They come from plants, so it’s no surprise that they have important phytonutrients. Even decaffeinated versions offer protection. Just be careful to keep them healthful and low calorie. Skip the heavy cream (or use just a touch), syrups and spoonfuls of sugar. Tell me, what are you doing to further your lifestyle reset? If there are any topics related to prediabetes, diabetes, blood sugar or general nutrition that you’d like for me to address, please let me know. 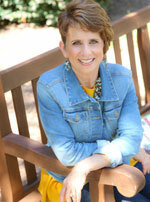 And don’t forget to take a look at my new pride and joy – Prediabetes: A Complete Guide! Cheers to healthful living and delicious eating! So fascinating! Thanks and congrats on your new book!! Thank you! I’m very excited about this new book. So many people are affected by prediabetes. These are really great ideas! I’m so glad to find this list of healthy foods to fight diabetes. I hate that I was diagnosed with prediabetes, but this is such a good list.